Members of the public are being invited to attend the National Library of Jamaica’s open day, which will be held on Friday (Nov. 3), at its headquarters at East Street downtown Kingston. The event is part of activities to mark National Library Week from October 29 to November 3. Executive Director of the National Library, Winsome Hudson, told JIS News that the open day would give persons an opportunity to explore the print and audio-visual culture and heritage of the island. “We are inviting everyone to come see what we have in our collection. we are not only for the so-called serious academic researchers but this library is for everybody; we have something here for everybody,” she said. 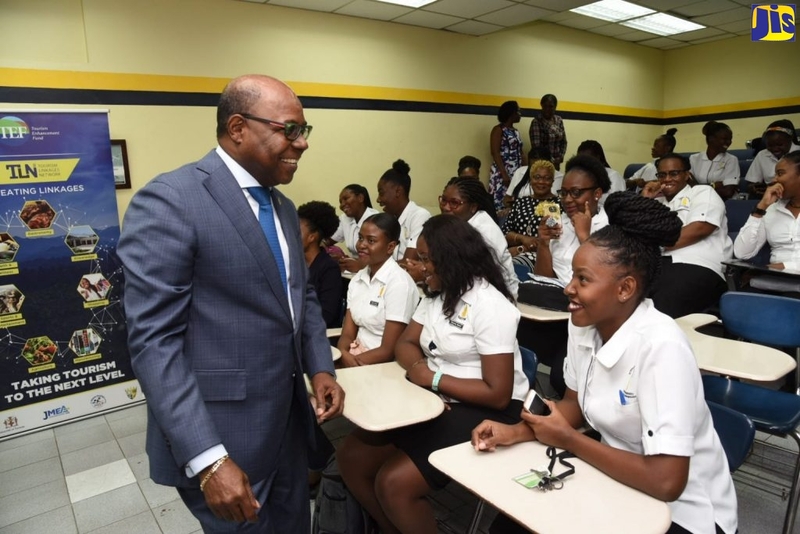 Miss Hudson noted that the open day would highlight the library’s mandate of collecting and preserving information by Jamaicans and about Jamaicans. “We are the nation’s library, so if it is published and it is about Jamaica or by Jamaicans, it is our mandate to have it here,” she said. Three tours will be held on the day at 10:00 a.m.; 12:30 p.m. and 2:30 p.m. “We will walk people through the three levels of the collection; on the main floor we have an exhibit up, ‘national library in the news’, where we have gone back in the newspapers to see stories about what was happening (in old Jamaica),” said Miss Hudson. In addition, members of the public will be able to view samples of rare and special books, study maps that outline old and new terrain of the country, as well as look at prints and drawings of the island, which were done more than a century ago. “On the third floor, we are inviting people to come and look at our newspaper collection, which is very comprehensive. We have newspapers, which go back to the 1700s. We have all the newspapers on microfilm. We have manuscripts and maps about the estates that go back to slavery,” she informed. National Library Week will highlight the role that libraries play in national and personal development.